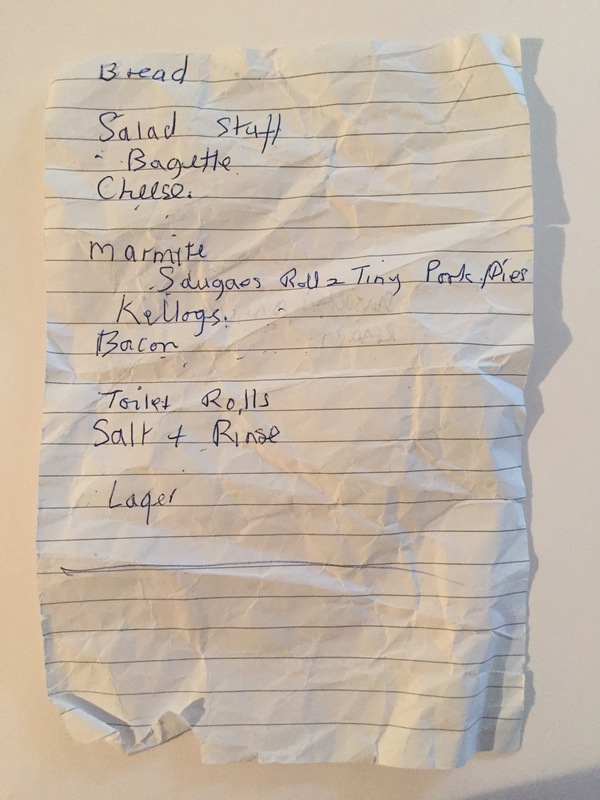 Bread, salad stuff, baguette, cheese, marmite, sausage rolls, tiny pork pies, Kellogg’s, bacon, toilet rolls, salt and rinse, lager. Unusual to see Kellogg’s written a brand, rather than the cereal type. There are no obvious meals to be cooked here. Salt and rinse aid are for a dishwasher. Make sure she has enough toilet rolls for them pesky kids friends of her children, who will be playing in her garden, and she will feed with sausage rolls and tiny pork pies with a bit of salad thrown in.